When you follow the Kia maintenance schedule laid out for this one-of-a-kind compact SUV, you won’t have any trouble getting the most out of your Kia Soul. The experts at our service center and parts department have experience with all sorts of Kia vehicles, and the advanced diagnostic tools we utilize allow us to complete the work you require, quickly! Follow this guide to learn what you should have done at each Kia Soul service interval, and contact LaFontaine Kia of Ann Arbor near Ypsilanti if you have questions. Every new Kia Soul receives a 5-year/60,000-mile basic warranty and a 10-year/100,000-mile powertrain warranty. Find out what’s covered and take advantage of our Kia service specials to save. For most modern vehicles, including the Kia Soul, 7,500 miles is a fair oil change interval. When you bring your vehicle in for its first service inspection, we’ll also replace your motor oil and oil filter. At 30,000 miles, repeat all of the inspections and replacements that you would undertake at your 7,500-mile and 15,000-mile intervals. Of course, you should also take the time to change your oil once again, perform a visual inspection of the vehicle, and replace your climate control filter. The 60,000-mile appointment is exactly the same as the 30,000-mile appointment, with one addition. Here, you’ll want to perform a visual inspection of your drive belt to check for cracks and other forms of damage. There’s a good chance that your belt will be working fine, but it’s important to catch problems early before they lead to a broken drive belt. At 120,000 miles, it’s time for yet another comprehensive inspection. If you’ve still been receiving regular maintenance and oil changes every 7,500 miles, then you’ll be well practiced at this point! Here, you’ll perform all of the checks that you normally would at 7,500, 15,000, 30,000, and 60,000 miles, and you’ll also make sure to replace the engine coolant. Kia vehicles become more and more reliable every year, and when you keep up with routine maintenance, the Kia Soul you drive will never let you down. 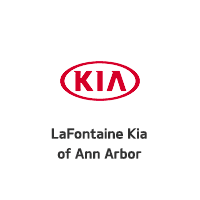 In order to ensure that your Kia model keeps working as its makers intended, schedule service at LaFontaine Kia of Ann Arbor, your local Kia Service center. When you’re in a rush, searching high and low for “Kia service near me,” just remember our team and call in. If you’re considering a new Kia Soul, and doing research before you buy, know that you can take any model on our lot for a quick test drive today! You’ll love how the Soul handles the roads of Dexter and Canton. 0 comment(s) so far on What is the Kia Soul Maintenance Schedule?